Neil Diamond Bang Years 1966-68 (2-LP 180g) Deluxe Ed. 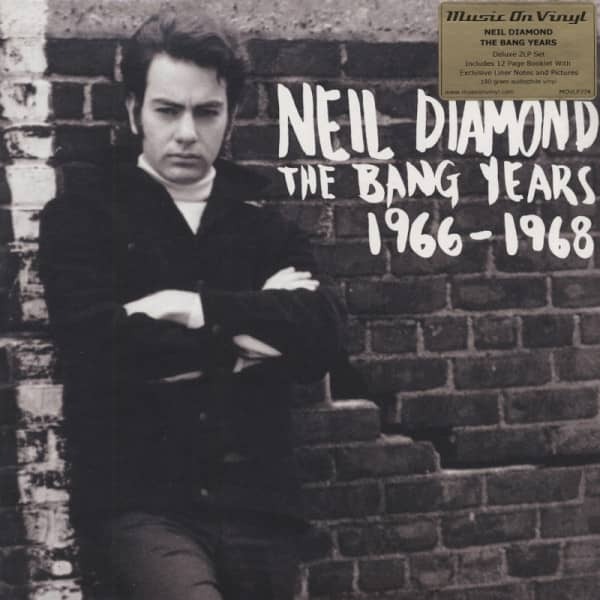 Neil Diamond: Bang Years 1966-68 (2-LP 180g) Deluxe Ed. (2011/SONY) 23 tracks, 12 page booklet, gatefold/Klappcover. Article properties: Neil Diamond: Bang Years 1966-68 (2-LP 180g) Deluxe Ed. Album titlle: Bang Years 1966-68 (2-LP 180g) Deluxe Ed. Customer evaluation for "Bang Years 1966-68 (2-LP 180g) Deluxe Ed."